On June 14, 2018, TMO Director Brendon Anthony held a meeting with city leaders and industry stakeholders in Lindale, TX as their Music Friendly Community certification process continues. 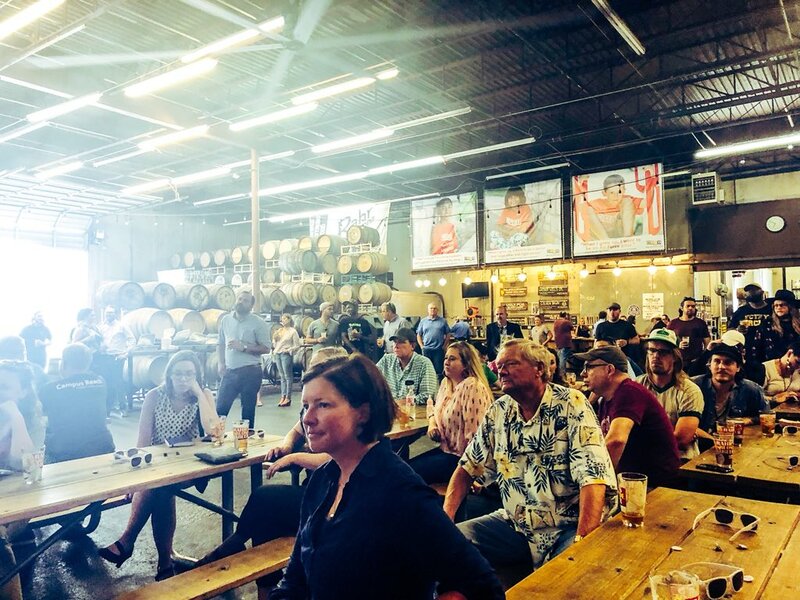 In addition Anthony met with the City of Fort Worth's music liaisons and non-profit component, Hear Fort Worth, during their recent music industry town hall (pictured right). Overviews of the statewide program were offered and the City of Fort Worth outlined plans to begin a citywide music industry survey. While in Fort Worth, Anthony also spent time taping a segment with the team from The CoWrite Podcast. During our discussion, he outlined the goals of the TMO and discussed the latest news concerning the progress of the Music Modernization Act which was recently voted unanimously out of the Senate Judiciary Committee in Washington D.C.
On June 25, Anthony traveled to San Antonio to help the City of San Antonio's Film Commission (and TMO music liasion) Krystal Jones debut their newly formed Music Office, which delivered their Music Strategy Plan during a town hall discussion. The event was open to the public. Stakeholders were given the opportunity to hear the broad outlines of the economic development strategy and make comments on each proposed agenda item.